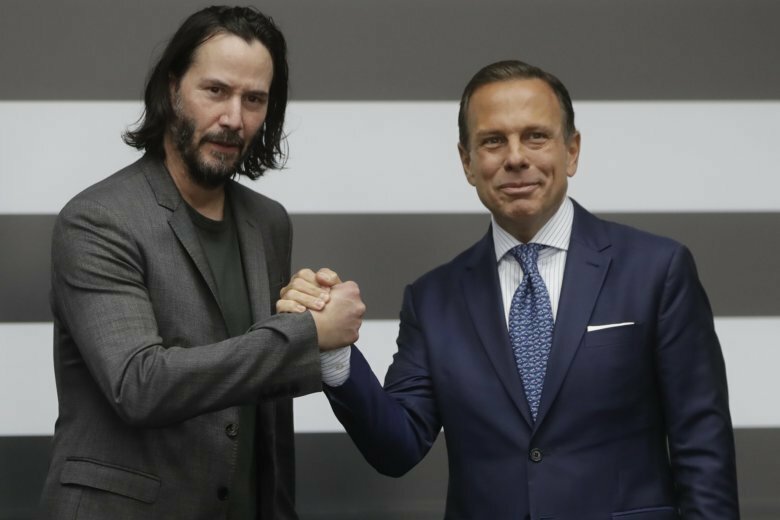 RIO DE JANEIRO (AP) — Keanu Reeves is in Sao Paulo to negotiate the shooting of a new TV series in Brazil’s largest city. Reeves met Wednesday with Gov. Joao Doria, whose office said “The Matrix” star could start shooting his science fiction project as soon as June. Filming has already been done in Los Angeles, Nairobi, Budapest, Kenya and Berlin. The title of the show wasn’t released. The city said in a statement that the negotiations were still under way. Reeves has also used Brazilian jiu-jitsu training for his role in the “John Wick” series of films.